Ludovic Navarre, once the frontman of the late Fnac Records, was worldwide acclaimed under the St Germain moniker with smooth and jazzy house (“Boulevard”, “Tourist”) that was enjoyed millions of times in living rooms and lounges around the world. Although being influenced by Detroit, Navarre did his only acid record for Djax-Up-Beats in 1994, and it was unforgettable one. 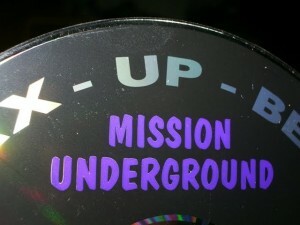 The 10-minute-long original of the “Burning Trash Floor” is also on Djax’s bubbling label compilation “Mission Underground”, along with Planet Gong, Random XS, Purple Plejade and others. Corrosive matter.